One of the most influential British artists of the 20th century will be the subject of a documentary screening, cohosted by Upstairs Artspace Gallery in Tryon and the newly renovated Tryon Theatre, on Sunday, August 19. The community is invited to a reception at the gallery, located at 49 S. Trade St. starting at 5:30 p.m., followed by the screening of “David Hockney at the Royal Academy of Arts,” next door starting at 7 p.m. Tickets are $40. They are available for purchase here. David Hockney, 80, is an English painter, draftsman, printmaker, stage designer and photographer, known worldwide for his important contributions to the pop art movement of the 1960s. His body of work includes still lifes, landscapes, portraits of his friends and his dogs, and stage designs, all accomplished through experiments with drawing, painting, printmaking, watercolors and photography. His work has been featured in over 400 solo exhibitions and more than 500 group exhibitions, and is in numerous public and private collections worldwide, including the Art Institute of Chicago, the National Portrait Gallery and Tate Gallery in London, Los Angeles County Museum of Art, Metropolitan Museum of Art in New York, the Museum of Modern Art in New York, Hirshhorn Museum in Washington D.C. and many others. The screening of the documentary is part of a movie series sponsored by the Upstairs Artspace Gallery in conjunction with Tryon Theatre focusing on contemporary and other notable artists, their lives, methods and works. 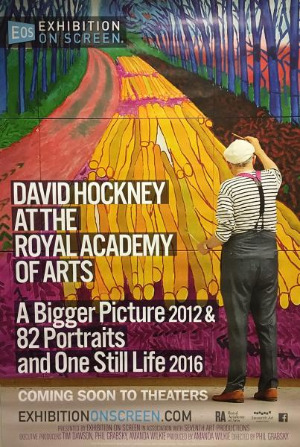 This documentary, directed by Phil Grabsky, features in-depth interviews with Hockney and focuses on two blockbuster exhibitions held in 2012 and 2016 at the Royal Academy of Arts in London. 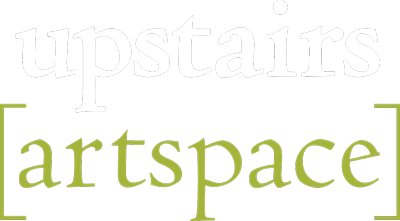 For questions, please call Upstairs Artspace at 828-859-2828. Tickets are $40. They are available for purchase here. The movie trailer can be viewed here.